This course will help the attendees to learn the concepts related to the computer security incidents. With this course, you will be able to implement a proper Incident Response Management in your organization and apply appropriate steps to address the various issues related to attacks. Also, you will learn about assessing the risk and mitigating the same by applying proper techniques, policies and laws. After completing this course, attendees Will be able to implement an incident management policies and techniques, and learn to deal With different security issues, They will be able to handle malicious code attacks and mitigates the threats by preparing the reports of the attacks and perform analysis on it to create a proper incident response and recovery system for future. Beginner to Intermediate. 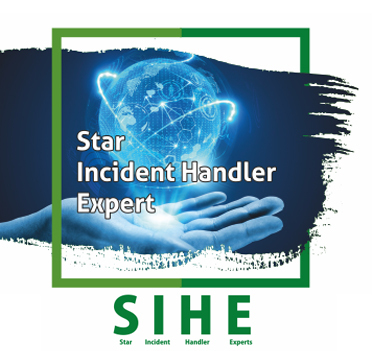 SIHE assumes that the user is already working in the IT networking field and involved in daily operations and would like to be part of Incident Management Operations. Incident Response System and How to prepare such system in your organization and understand the threats associated with it. How to implement Incident Response System in your organization to control and prepare the system for defence against attacks. Make recovery plan based on the past attacks and threats. Manage the Computer Security Related Incidents and Prepare for future risk mitigation, from malicious code attacks and threats associated. Help the organization built their own Incident Management System comprising of secure policies and laws. What is Incident Response System and why it is Required? Analyzing the Risk and Taking Appropriate Actions. Process of Incident Response Management. Setting up Incident Response Management -Team. Identifying and Controlling Network Security incidents. Identifying and Controlling Malicious Code Incidents. Use of Forensic Analysis in Incident Response. Creating incident Reports and Recovery Planning Documents. EHE (Ethical Hacking Expert), SFICH (Star Forensic investigator in Computer Hacking), risk assessments administrators, penetration testers, cyber forensic investigators, venerability auditors, system administrators, system engineers, firewall administrator, network managers, IT professional and anyone who is interested in incident handling and response.